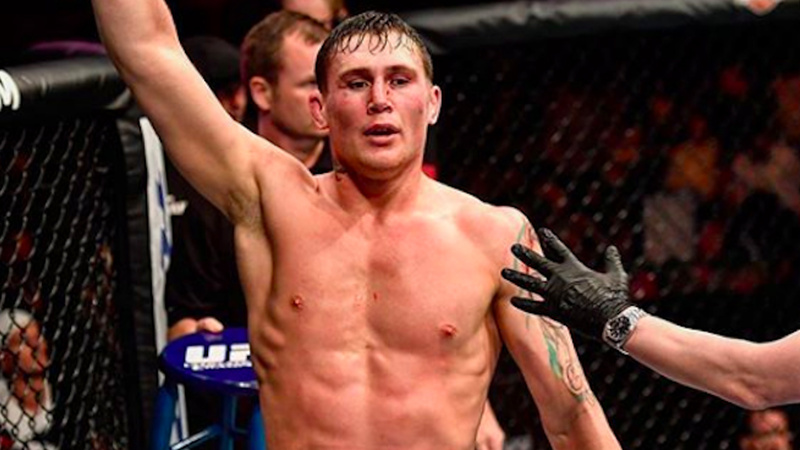 Rising welterweight contender Darren Till is expected to lock horns against divisions undisputed champion Tyron Woodley at UFC 228 from American Airlines Center in Dallas, Texas on September 8. Till scored the biggest triumph of his career after battering Donald Cerrone at UFC Fight Night 118 event at Ergo Arena in Gdansk, Poland. When you are a top fighter, you carry a certain level of selfishness and ego, but what should be the limit? During UFC 227 fight week last weekend, Till caught up with MiddleEasy, where he discussed a bit about Colby Covington and said he has a daughter lives in Brazil, didn’t see her in a year and being horrible to his current girlfriend who is seven months pregnant. He also added the only thing matter is his legacy. Fighters carry strength and motivation from all sorts of different things in life. Somethings what works for one person may not be sufficient for others. Most fighters and athletes who get their motivation from their families, especially children of their own, who help them to achieve the greatness. Till, 25, who neglected his daughter and pregnant girlfriend in the hope of becoming the greatest fighter in MMA history. I can’t think of any fighter who publicly admitted being the bad father. As he’s challenging Woodley for the welterweight title in his upcoming fight at UFC 228, whether he becomes the greatest or being a deadbeat dad is remains to be seen.